In our modernized world, it’s easy to take for granted all of the wonderful things that make our lifestyles what they are. That is of course, until those wonderful things such as plumbing, electricity, air conditioning and the various other utilities we use stops working. Categorizing which circumstances are worse is up to subjective opinion. And although nothing ever lasts forever, this is especially true for your hot water heater, which is one of the most common utilities that breaks down in America homes. Hot water heaters are pretty general, and pricing is pretty competitive and affordable for homeowners. However, how much should you pay to have it installed? There are many variables to determine the price of your installation and chances are it may be considerably more or less than it costs your buddy who just had a new water heater installed. Just like any large utility installation, a reasonable estimate will not be reliable without first examining the installation site of the water heater. There are several variables that arise as the installation site is examined including; the physical setting i.e. 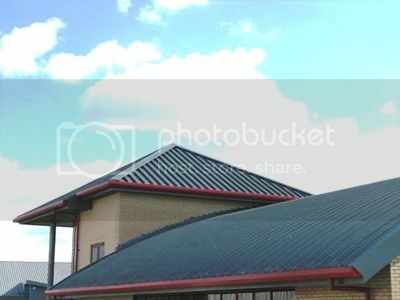 : closet, garage, utility room, etc…the model of the new water heater they wish to install; the plumbing connections the home offers, plus updating the plumbing and setting the water heater to the updated county code. If you are pretty handy and comfortable at performing many trades, then installing a water heater yourself should be a pretty fun and slightly time consuming task. However, if you are not comfortable with plumbing, electricity, gas, and in some instances carpentry and drywall, then it is highly recommended to hire a licensed and insured contractor to install your new water heater. A professional contractor will make sure that any modifications to the home’s plumbing, electricity, or gas lines are done safely and correctly. If a lack of hot water is your dilemma, I guarantee an incorrectly installed hot water heater will bring on much greater issues to you and your family including flooding fire, or gas poisoning. An electric hot water heater is one of 3 utilities in a home that requires 240 volts of electricity making it fire prone. And gas water heater is capable of producing poisonous carbon monoxide gas due to combusted fuel. If not professionally ventilated, you run the risk of gassing you and your family. As for how much you should expect to pay for installing a new water heater? The only real way to know is to get estimates and get lots of them. As for a dollar figure, the range is generally between a couple hundred bucks, however in some instances it can range as high as $2,000-$3,000 dollars. Live in the Arizona metro area and need water heater repair? 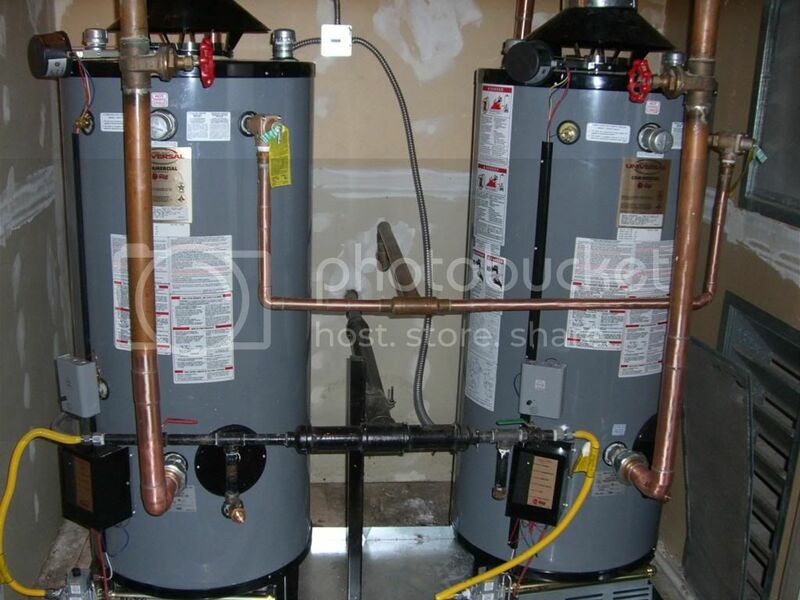 Service Star is one of the top water heater repair specialists in Mesa AZ. Contact them for a quote on this installation if you are not comfortable doing it yourself. Turn The Main Water System Off: The first thing that you should in cases of water leaking in random places of the house or from pipes, is to shut down the water system. If you own a house, the valve of the main water system is often located somewhere near the street on the ground. If you are living in an apartment or a condominium, it is best that you get in touch with the land lord since they are often the ones who know the exact location of the main water valve and you will need to ask for their permission to turn the water system for the time being to keep water from leaking. Doing so will keep your water bill from increasing as well. Remove The Water: Removing water is perhaps one of the best things that you could do after you are done turning of the main water valve. Plus, doing so can lessen the damage that this excess water is causing you. However, if you do not have any idea where the water is coming from, it is best that you wait for the plumber to arrive. Using towels, or used cloth are good ways to lessen the water. Using a broom can also help you remove the water. Always Call A Professional: If you had not called a professional plumber yet, then call one right away unless you are an expert when it comes to repairing such water problems in your home. This will save you the trouble of having to deal with the problem as well as the chance of it getting more complicated. Doing so will also spare you from spending more than you should if the damage grows bigger. Having domestic water problems can be very frustrating but you do not have to sit back idly. Having a bit of knowledge in handling such a situation can be helpful at times. Once upon a time, selecting power tools was easy. If you needed a drill, you bought a drill; if you needed a saw, you bought a circular saw. But, it’s no longer that way. Manufacturers are constantly coming out with new toys to whet our appetite and get us to buy their wares. While there are a few people around who have a virtually unlimited tool budget, those people are pretty rare. For the rest of us, we want to get the most out of the tools that we can afford to buy. So, we’re looking for multi-purpose tools which will get a wide variety of jobs done, with the least amount of fuss. Drills, by their various names are one of those areas where manufacturers keep coming up with new ideas. Fourty years ago, all you could buy was a drill; nowadays, we’ve got to pick between drill/drivers, hammer drills, and impact drivers, along with other choices. The trick is to understanding the difference between these tools, and what they’re really designed to do. A drill/driver is a modification of a drill. By adding a clutch to a standard electric drill, it provides the capability of driving screws into wood, with control over how deep the head is going to sink before the tool stops turning. So, the drill/driver is actually a combination of two tools, a drill and a screw gun. That makes it rather versatile, and for most of us, it eliminates the need for a screw gun as well. Even within the ranks of drill/drivers, there are a lot to choose from. Lithium-Ion battery technology has made these tools even more versatile, as the batteries hold a bigger charge and can be recharged much more rapidly. The best of these are the 18 volt units, which carry considerably more power than the 12 volt units they have pretty much replaced. These come in a wide variety of models and prices, such as the Bosch DDS181-01 or DDH181-01, both of which are high power units. Or, if you’re looking for a bargain, you might try the Black & Decker LDX220SB. I’ve got one of these and I love it. I guess we could call hammer drills the next step up from a drill/driver. The hammer part consists of a couple of gears and a weight which creates a hammering action when it is activated. This action is switchable, so the drill can be used without the hammer action as well. Hammer drills are necessary if one is trying to drill into masonry of any sort. If you look at a masonry drill bit, they have a small chisel on the end. Unlike drilling into wood or metal, drilling into masonry isn’t a cutting action, but rather a breaking action. The thousands of impacts per minute on that rotating chisel cause it to bust a hole through the masonry. Cordless hammer drills are also designed with a clutch, just like drill/drivers. So, they can actually replace the drill/driver, making your standard drill into a three purpose tool. However, you will pay more for it. If you want the most powerful one around, take a look at the Milwaukee 2611-24, which has 750 in/lbs of torque. Impact drivers are a modification of the idea of a mechanic’s impact wrench; combining that action with that of a drill, making a combination tool once again. Instead of the longitudinal hammering action that a hammer drill provides, the impact driver is providing a rotational impact. This provides much more effective torque for driving or loosening fasteners. If you’ve ever put a ratchet onto a stubborn bolt, then hammered on the side of the ratchet, trying to break the bolt free, you’ve made your own manual impact driver. The difference here is that the driver is making over 1,000 impacts a minute, much more than you can even dream of doing. That makes these tools great for times when high power is needed. The DeWalt DC827KL for example provides 1,330 in/lbs of torque; that’s equivalent to over 100 ft/lbs. When you’ve got to run lag screws into beams, then impact drivers are just what you need. They’re also excellent when you’re doing projects like driving 3” screws into a deck. However, they don’t have a drill chuck, instead having a 1/4” drive hex collet. So, they’re not really good for drilling. Yes, you can get drill bits with a hex shank, but they’re more expensive and tend to break. All three of these types of tools come in both corded and cordless versions, although the cordless ones are rapidly outpacing the corded ones. Cordless is much more convenient and much more portable. It used to be that corded tools were much more powerful than cordless ones, but with the newer 18 volt technology, they’ve pretty much closed up the power gap. The other problem that used to make cordless inconvenient was charge time. Nickel-cadmium rechargeable batteries needed at least 3-1/2 hours to charge. You didn’t want to partially charge them either, as the battery had a “memory” and might never fully charge again once you did that. With Lithium-Ion, you can fast charge a battery in 30 minutes or less. Makita has a fast charger which will bring the battery up to a good charge in only 15 minutes. You can find that included with their BTD142HW impact driver. Picking the right tool for your toolbox depends more on how you are going to use it, than anything else. For most people, a drill/driver is a great all-around tool. Unless you have need of occasionally drilling into masonry, there’s really no reason to buy a hammer drill, as you’d never use it’s extra capability. On the other hand, having an impact driver might be something you want to consider. It can’t really replace your drill for everyday tasks, but if you need something that gives you power, it’s handy to have. You can even use it for working on your car, something that the drill/driver won’t help you out with. So, if I was to buy any two, it would probably be a drill/driver and an impact driver. But, if I could only buy one, it would be a drill/driver. Author Bio: Ryan Hill is a review expert especially when it comes to explaining the difference between certain power tools. 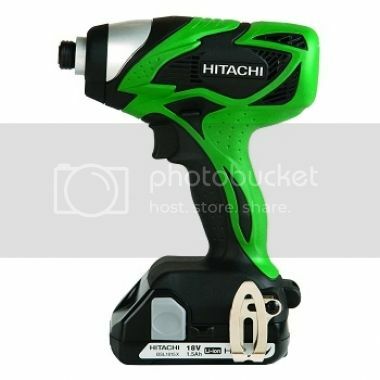 Visit his website to find more about impact driver reviews and other power tool reviews.